Sales of Blu-ray discs in Q3 of 2010 have more than doubled year on year, with the entertainment industry announcing that a total of €445 million was spent on the high-definition discs. This was a whopping 98.3 per cent increase from the same time in 2009, with the actual volume of sales equating to 24.7 million. 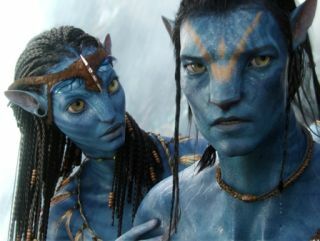 The Digital Entertainment Group Europe, who announced the figures, noted that a number of Blu-ray titles – Avatar, The Clash of The Titans, 2012, Alice in Wonderland and Sherlock Holmes – excelled expectations in 2010, which spurred on some of the growth. Compared to DVD, however, this sum is rather slight. DVD sales may be down 5.8 per cent, but the revenue from these discs is €3.5 billion, which is nothing to be sniffed at. A total of 342 million DVDs were sold, which is well over 10 times the amount of Blu-rays purchased. The DEGE is confident that this upsurge in Blu-ray buying will continue throughout the year, however, with Yves Caillaud, Chairman of the DEGE, saying: "During the last quarter of the year, we expect to see sales continue to gain momentum as the latest Blu-ray blockbusters make it onto everyone's Christmas lists."